PRESIDENT Mnangagwa yesterday said his Government is prioritising devolution and decentralisation in the running of national affairs as a strategy to revitalise the economy and to improve the people's standards of living. Addressing mourners at the burial of the late national heroine Thokozile Mathuthu at the National Heroes' Acre yesterday, the President said his new mandate to lead Zimbabwe will see the implementation of such key strategies to turn around the economy. Mathuthu, a Zanu-PF Politburo member and former Governor for Matabeleland North, died last week after battling cancer. President Mnangagwa said his Government would work hard to fulfil the people's dreams for a better life. "Principally, my Government has taken a decision to implement the constitutional requirements of devolving and decentralising the running of our national affairs," he said. "This is one of the strategies to rebuild our economy through modernisation and industrialisation, the creation of decent jobs as well as ensuring broad-based empowerment in line with our Vision 2030." President Mnangagwa urged youths to take advantage of empowerment initiatives on offer. "In this vision, we have a special place for the country's youths who deserve a better life and increased opportunities. "They must, therefore, take this programme of devolved economic development, as specifically for them," he said. President Mnangagwa urged Zimbabweans to work together in peace, love and harmony to develop the nation. "As we begin the onerous journey towards economic growth and prosperity, let us all uphold the values of patriotism, unity, peace, love and harmony," he said. "Let us equally and always encourage and inculcate the spirit of hard work and honest in serving the nation." 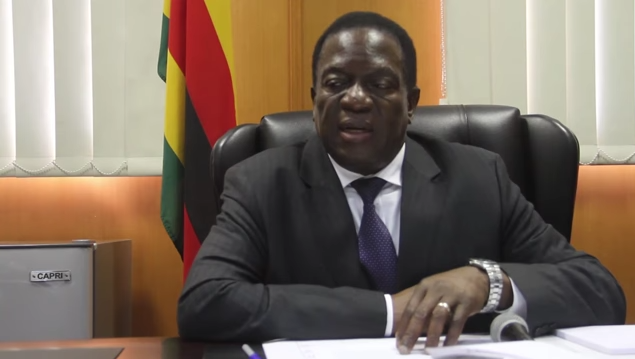 President Mnangagwa talked about his attendance last week of the 38th SADC Summit in Windhoek, Namibia, which ran under the theme; "Promoting infrastructure development and youth empowerment for sustainable development". The summit's theme, President Mnangagwa said, resonated with the Government's initiatives to leapfrog the development of quality infrastructure and determination to harness the collective and untapped potential among the youth. In his maiden speech at the Sadc Summit of Heads of State and Government, President Mnangagwa pledged servant leadership to the people of Zimbabwe. He applauded Namibia for thoughtfully coming up with the theme for the 38th Sadc summit. President Mnangagwa said his Government was on an engagement and re-engagement drive with the international community as "we quest to be part of the global community of nations guided by our mantra 'Zimbabwe is open for business'." President Mnangagwa's Government is prioritising infrastructure development, women and youth empowerment. President Mnangagwa said Zimbabwe was committed to Sadc values and objectives of ensuring peace, security, democracy and industrialisation, among other things.